10.0" x 11.5" stitched on 14 count. 7.8" x 8.9" stitched on 18 count. 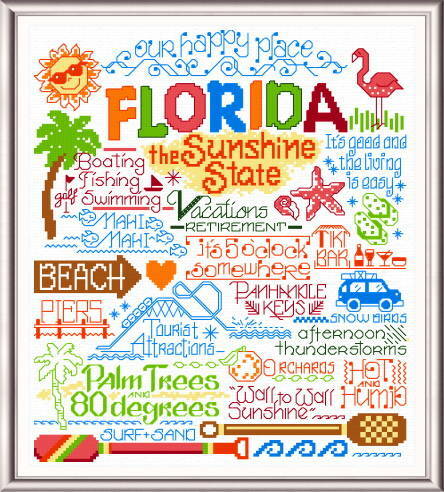 Let's Visit Florida cross stitch pattern... Another fun pattern in our 'Words' series. My Travels through USA and possibly beyond.